Social networks are ubiquitous. The discovery of close-knit clusters in these networks is of fundamental and practical interest. Existing clustering criteria are limited in that clusters typically do not overlap, all vertices are clustered and/or external sparsity is ignored. We introduce a new criterion that overcomes these limitations by combining internal density with external sparsity in a natural way. An algorithm is given for provably finding the clusters, provided there is a sufficiently large gap between internal density and external sparsity. 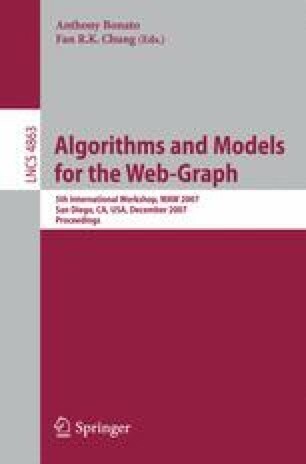 Experiments on real social networks illustrate the effectiveness of the algorithm.